Grand Rapids, Grandville, Kentwood, Wyoming and West Michigan. BlackBerry is one of the Grand Rapids area’s most trusted and professional roofing companies, also serving Grandville, Kentwood, Wyoming and Walker. We’ve been providing the entire West Michigan region with Owens Corning roofing products since 1980. A quality roof is the most important element to protecting your home. You’re dependent on your roof system for protection from rain, wind, and snow! One of our roofing installation specialists will come to your Grand Rapids home and inspect your roof prior to providing a free estimate. Our experienced design professional will look at all critical elements, including drip edge replacement, ice and water shield to protect eaves and valleys, rotted wood replacement, atic and soffit ventilation, chimney and wall flashing details. 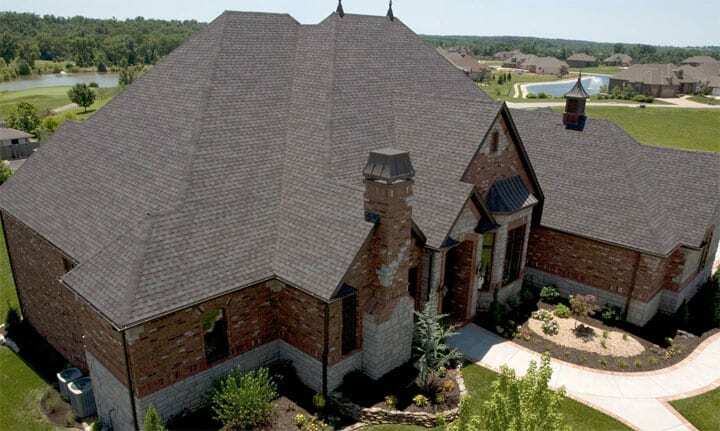 We’ll help you to select the right roofing product, style and color for your Grand Rapids area home. We’re fully bonded and insured Grand Rapids roofing contractors, plus we’re an Owens Corning Preferred Contractor. Our manufacturer-certified roofing installers will treat your property with care and respect. The proper procedures will be used to protect your Grand Rapids home during the tear-off and disposal of your existing shingles, as well as the installation of your new roofing. We work quickly to avoid our always-changing West Michigan weather and will have your home well-protected during the construction process. We’ve completed thousands of roofing projects in Grand Rapids, Grandville, Kentwood, Wyoming and West Michigan, so you can trust you’ll have a job well done!